Make sure your little one stays safe on holiday in this younger girls' Disney Minnie Mouse sunsafe and hat. 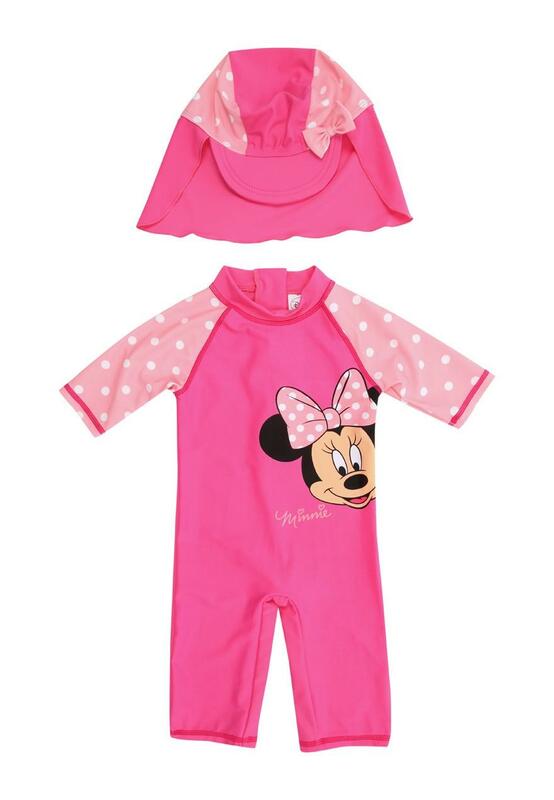 This combo includes polka dot long sleeves, high neck and bottoms swimsuit, Minnie Mouse on the front, plus a matching hat, making it perfect for holidays. Shipping to the UK only.